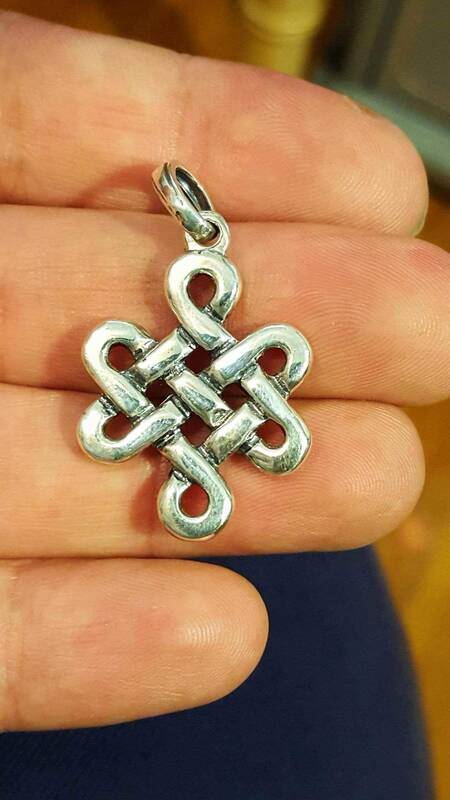 This is a handmade endless knot pendant in stainelss steel measuring a little over 3cm long and 2cm wide with a nice size bail at the top to pass a chain. Made during my studies in reproduction, I used a traditional design to copy the pattern and rendered a near perfect copy of it. 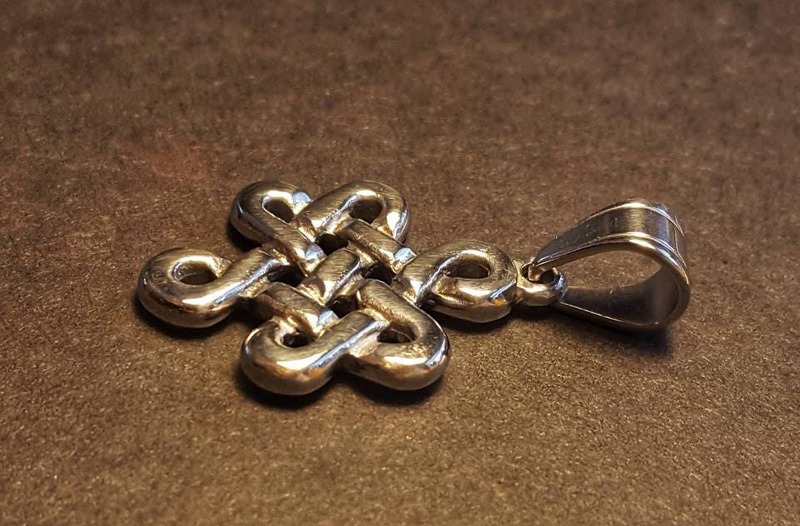 The stainless steel is cast by a specialty caster for me, and is jewellery quality steel, not carbon steel, nor chromed. 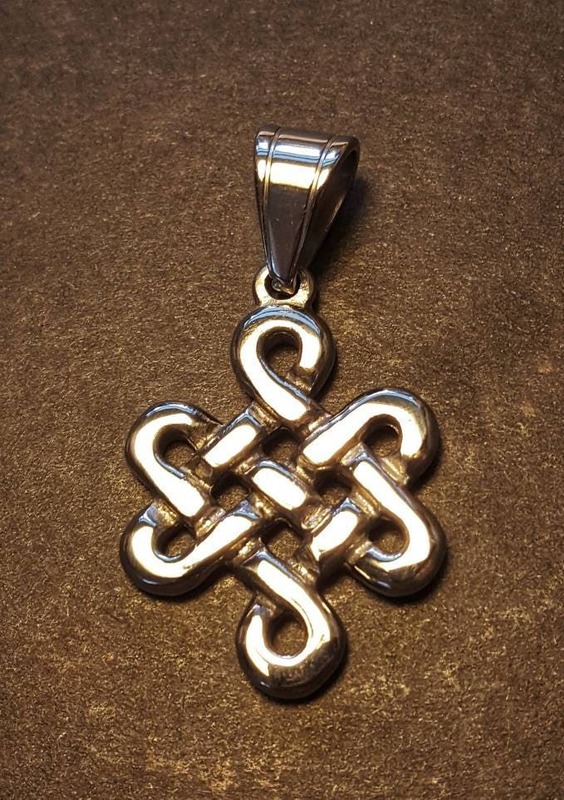 It can take a little more than a week depending on the time the order is places as this will be cast on order only.